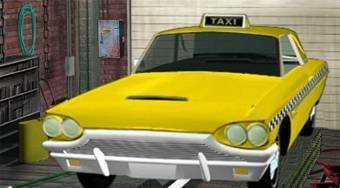 Do you like Ace Gangster Taxi? Share it with your friends. "Ace Gangster Taxi" - drive through the streets of a big city, take your clients to their destinations and evade meeting the police. Can someone help ? I can't seem to get in a street race . Everytime I get a car I equip it with nitro , and head to the street race but he keeps telling me "You must be kidding , where's your car ? Come back when you are ready. " HELP !! !